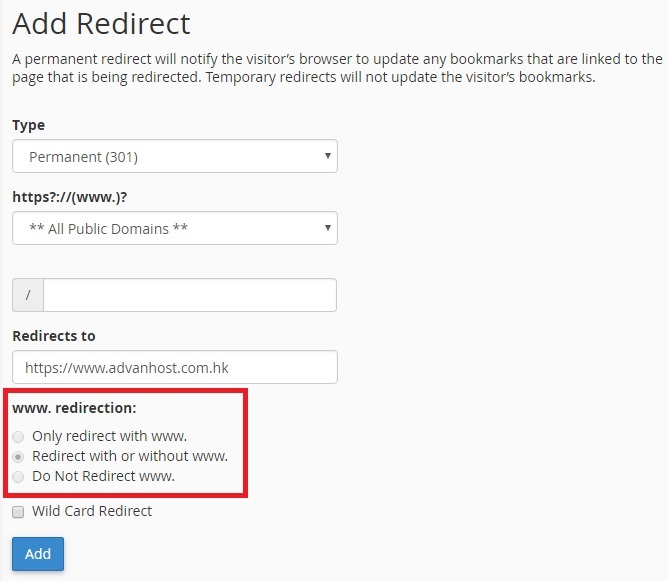 Advanhost’s customers who subscribed the SSD web hosting, SSL web hosting service, can use Redirects by following the below steps easily. 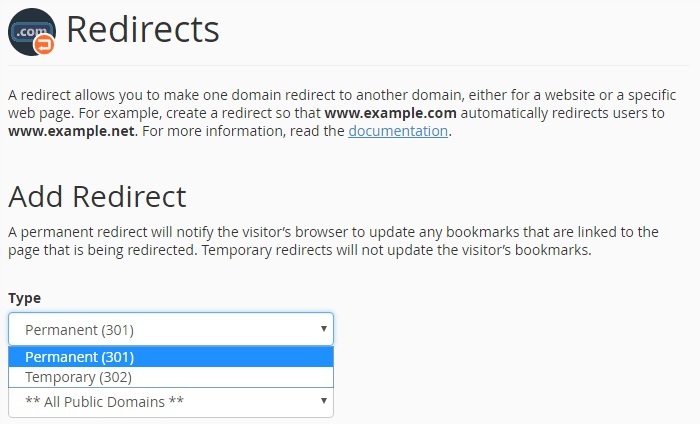 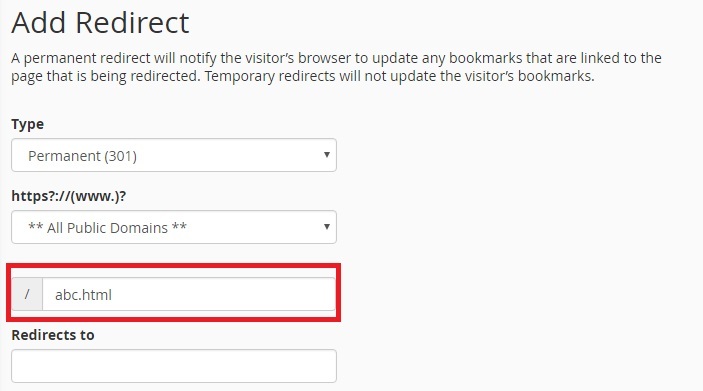 Permanent(301) – A permanent redirect will notify the visitor’s browser to update any bookmarks that are linked to the page that is being redirected. 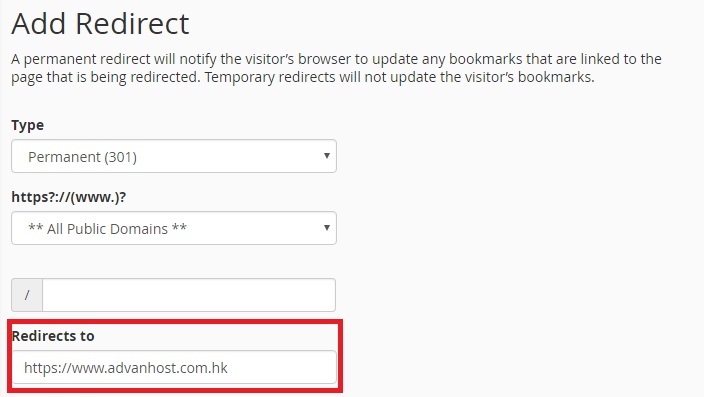 Temporary(302) – Temporary redirects will not update the visitor’s bookmarks.